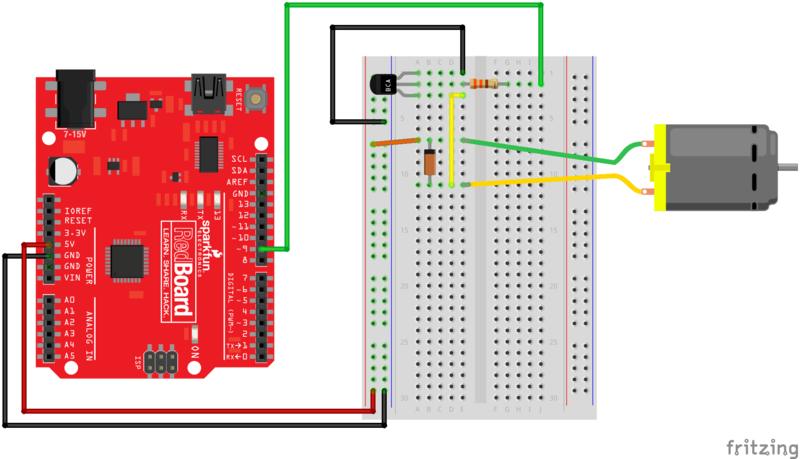 For an example of controlling the hobby motor with a microcontroller, check out our old SIK v3.3 example. This is a noob question I guess: Can I make it spin 'backwards' by applying 'negative voltage'? The motor will most likely spin in reverse if you apply the voltage in reverse. Does anyone have an SVG drawing to make a laser cut counter weight piece (out of wood, perhaps adding a weight to that if needed) that would attach to that gear nicely? I know one option is to remove the gear...and we could also just do a circular cut out and hot glue to gear (I'm guessing). For those who are wondering, the gear is metric, with a pitch of 0.5mm/tooth. Also, the screw holes are M2.6, but if you're a fan of stainless fasteners, McMaster-Carr doesn't carry M2.6 in stainless, so I bought M2.5, and they fit, but they wiggle around a little until you tighten down on them. I made a drawing of this part. It is available here. I don't know why so few places actually put basic drawings of their parts in the description. Heck, they even sell digital calipers here, how hard would it be to take a few measurments while they're making the description? will you be selling gears to mate with this? Datasheet says clockwise rotation. Does reversing polarity reverse direction of rotation? What is the pitch of the gear? Is it 32p or 48p? This puppy can handle up to 9vdc from my testing. Don't have a 12vdc power supply, but I know that at 9vdc, it generates a heavy metallic smell. Just wondering... can someone take this little gear off and use a hub to attach another gear? If so what should the bore of the hub be? Why is there a 0.1uF capacitor soldered across the motor terminals? If anything, I would have thought a flyback diode would be added. Flyback diodes can be useful to avoid the 20V, 50V or probably even 100V spikes due to the motor's inductance. As you most likely know, they are meant to be wired in the opposite way as the power supply (i.e. positive to cathode and negative to anode). Now the problem is, if you want to reverse the motor's rotation, you have to reverse the polarity. If you reversed the polarity, the diode wouldn't be wired in the correct way anymore, and would instead short out the power supply anytime the motor was on. And if your power supply was not current limited (e.g. LiPo batteries without protection circuitry) you would most likely set things on fire. That's for brush (electrical) noise suppression, it's a common addition to small motors. Here's a nice writeup from our friends at Pololu. what is the diameter of the body? I find Elecrow have a more powerful one. But it's a little expensive. 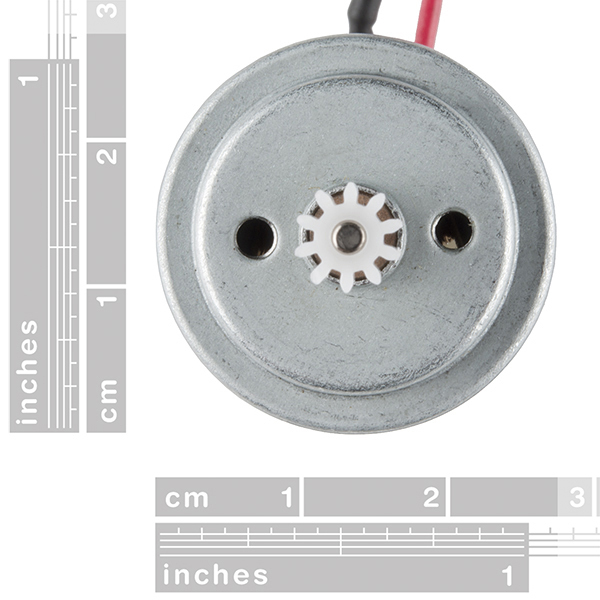 This type of motor is typically found in RC toys coupled to a cheap plastic gearbox. It basically is going to spin at a ridiculous rate with very little torque. (in this case 6600 RPM). Think: portable fans (those AA powered ones). That Elecrow motor has a D shaft, and a metal gearbox coupled to alot more torque from the motor to start with. Higher input torque to high reduction ratio leads to low speed, high torque output (77 RPM, 5000 g-cm). Think: industrial equipment. Not saying there's anything wrong with either motor, but they're just meant for different uses. Cool, now has protection for wires!! Any idea how well the gear meshes with Lego gears? (You probably already know) It doesn't. You could maybe hot-glue a lego gear on or 3d print something. It would be nice though if SparkFun would show spur (or worm wheel) gears that fit (or mesh) with the gear on the motor. Also, I think it would be nice to show bushings that fit d.c. and stepper motors being sold on the website so that you can attach the appropriate gears to the motor if need be. I needed this for a Spin Art kit I designed for my students. I wanted a motor with a shaft and no gear but couldn't find one at a good price so I bought a bunch of these. I ended up drawing a gear to match this one and cut it out of plywood so I could spin a wooden disc on top of this motor. Worked great! It's also possible to remove the gear with pliers although the plastic breaks easily so don't count on getting it back on. I wish the leads weren't covered in bulky plastic. 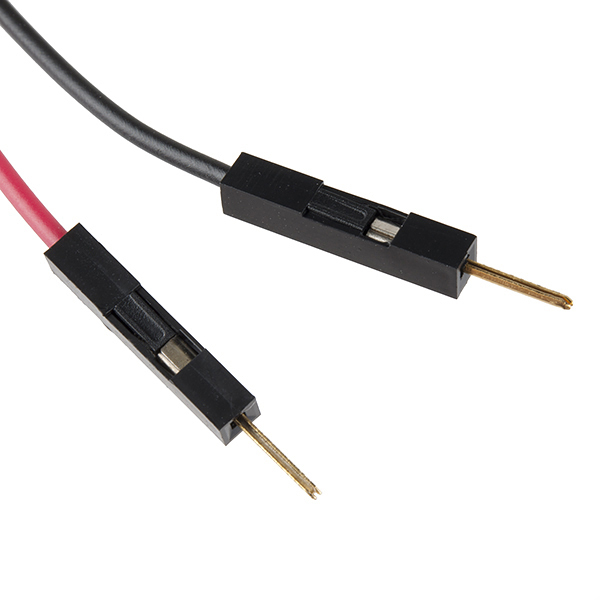 It makes connecting this to other wires, either when using wire connectors or soldering tricky. In most cases, I had to cut and then strip the leads before the plastic pieces. I like that this works well with either one or two AA batteries. Of the 44 motors I ordered, not a single one malfunctioned. I have purchased a total of about 100 of these motors for "brushbot" workshops with elementary and middle school students (a brushbot is like a bristlebot but bigger, built on a scrub brush instead of a toothbrush). I hoped it to be a time-saving endeavor because these motors already have wires soldered onto them. Unfortunately that hasn't been the case because the solder connections are VERY easily kinked or broken. I understand that "give this to an 8 year old to build a vibrating robot" is more abuse than the motor may be designed for, but for the first workshop I did, I had to resolder wires on every single motor. Some of them were even broken out of the box, seemingly because of how tightly they all get packed in when you order 20 of them, resulting in some wires getting kinked. I can tell that the initial connection is pretty weak (despite the shrink wrap protecting them) because re-soldering always winds up in a MUCH stronger connection that can actually stand up to some tugging or bending. My solution for now has been to put hot glue around the base of each wire, to strengthen the connection and make it harder to kink. Hi, Thanks for the review. And sorry to hear that you have had to touch up those solder points. These are a low cost motor, so some quality tolerance should be considered with these. However, a dab of hot glue is a great way to support the wires. 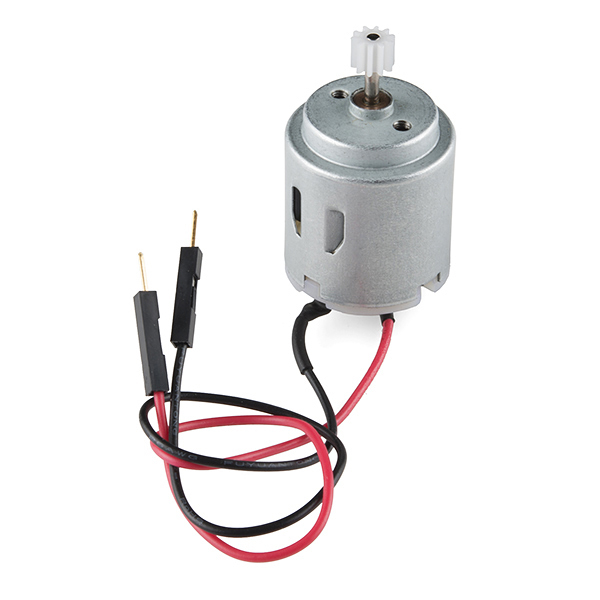 This small, light motor was just what I needed for a small project. Good price and the right size. No complaints.